Florennes (Belgium), 31 July 2003. XZ370 is returning from a recce mission. 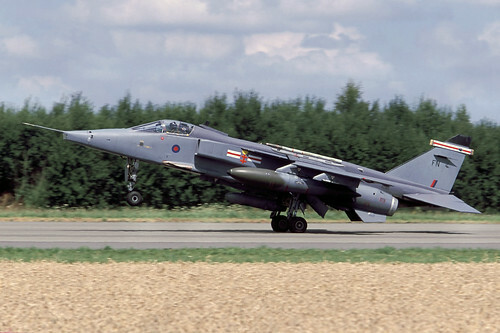 Some Jaguars of 41 squadron (RAF Coltishall) took part in the reconnaissance meet.